Компания «Star Media» и студия «Babich-Design» представляют новый документально-игровой фильм «Лермонтов». Проект приурочен к 200-летию со дня рождения великого русского поэта Михаила Лермонтова. Смотрите онлайн на канале Star Media. Mikhail Lermontov (1814-1841) was one of Russia’s greatest poets and writers. His famous novel, “A Hero of Our Time” was one of the most popular Russian books of all time. His works were always timely and relevant, enjoying vast popularity especially among young people. Lermontov’s poetry and prose were translated into many languages and take their rightful place among the classics of world literature. Lermontov died at the age of 27, fighting a duel under strange circumstances. He grew up without parents, had two serious love affairs, was always surrounded by good friends, went through war, but nevertheless remained lonely throughout his whole life. 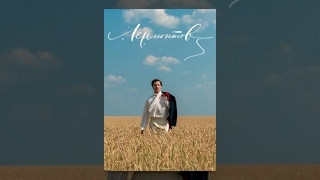 This movie, made to commemorate the 200th anniversary of Lermontov's birth, gives an insightful look at how his personal life intertwined with the plots of his works. The poet’s reality is gradually transferred into the world of his own imagination, while the characters and events he describes provide answers to biographical mysteries of Lermontov’s fate. Смотреть онлайн бесплатно \"Лермонтов / Lermontov\"
Смотреть онлайн бесплатно \"Лермонтов. Премьера на канале Star Media\"